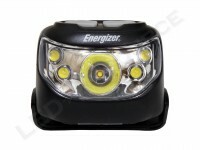 With several dozen variations of portable lighting products, Energizer is more than just a battery company. 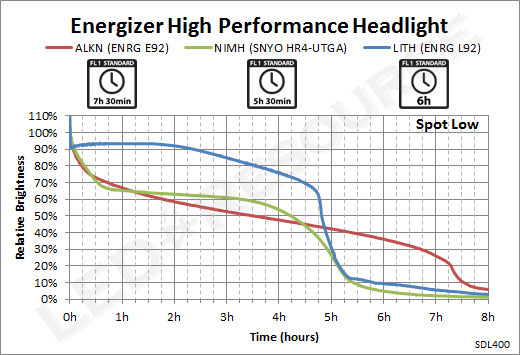 The new Energizer High Performance Headlight (Model HD5HP32E) launches in Spring 2014 and will have the highest output among Energizer’s assortment of consumer and industrial grade headlights. 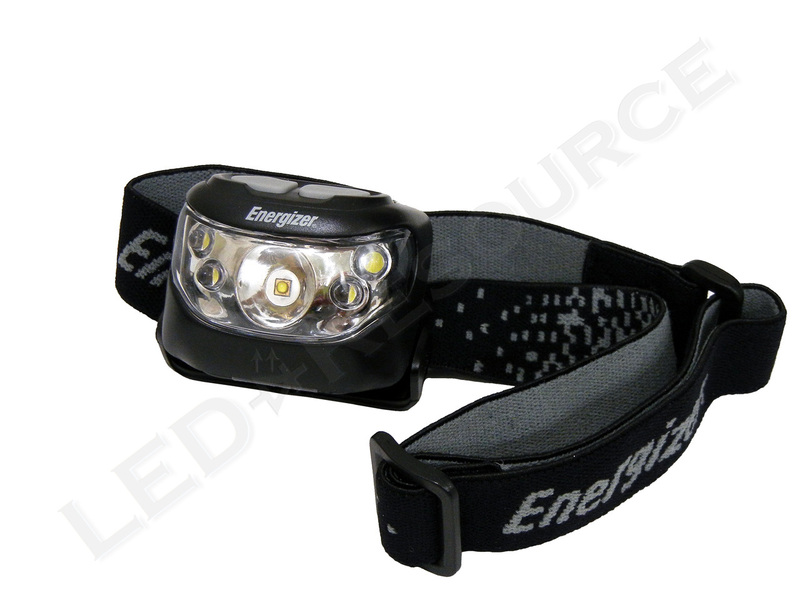 This 200-lumen headlight has four output modes, two beam profiles, a removable head strap, and can even be used as a standalone work light. 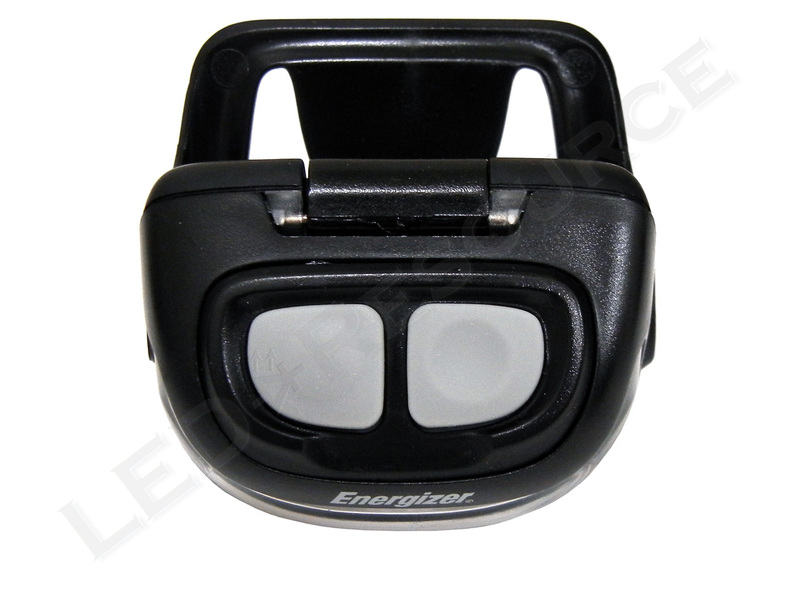 Weight with Batteries: 3.1 oz. MSRP for the Energizer High Performance Headlight is $37.99, and the light is only available in black (note that a similar red version is the Brilliant Beam LED Headlight, which has lower output). 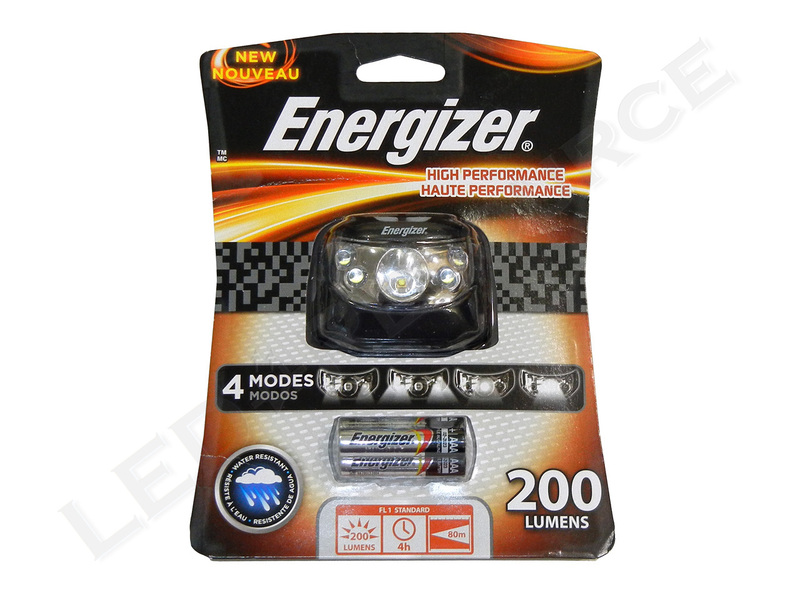 Included in the blister packaging are: Energizer High Performance Headlight, head strap, and 3 x AAA Energizer alkaline batteries. 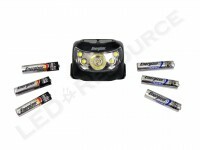 The High Performance Headlight uses three AAA batteries, and the light is compatible with alkaline, rechargeable NiMH, and lithium primary batteries. 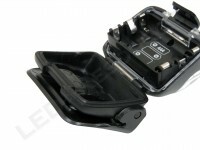 To open the battery compartment, swivel the light to the maximum angle and flip up the “Open” tab. 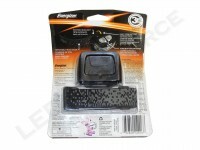 The plastic window covers a smooth reflector for the primary LED, as well as the four secondary LEDs. On the top of the headlight are two electronic switches. The indented one on the left activates spot mode, and the protruding one on the right activates flood mode. 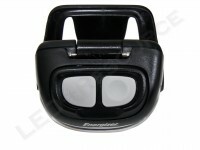 The head strap attaches to a plate on the back of the headlight, which swivels up to 75 degrees downwards. 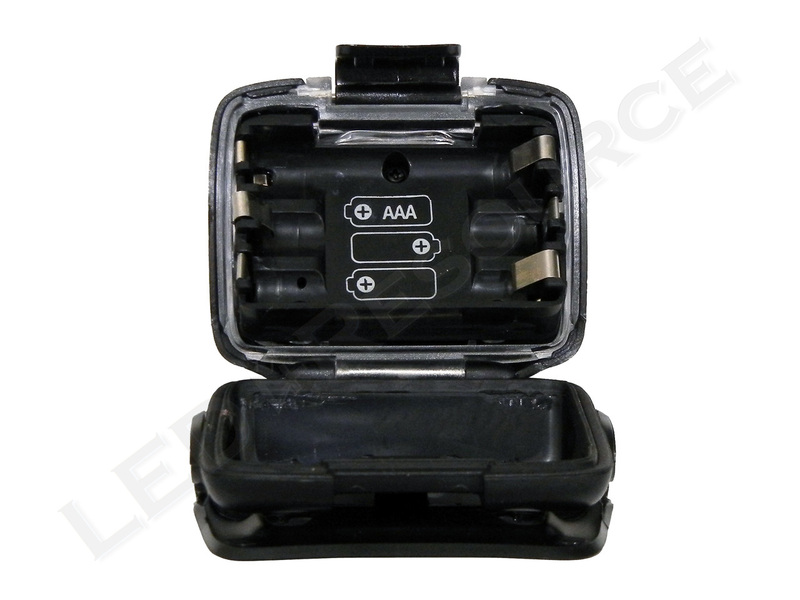 The battery compartment is water-resistant and sealed with a gasket. 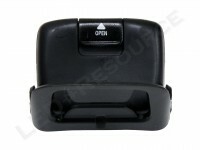 Four modes are available for the user to choose from, and both spot and flood modes can be used together. 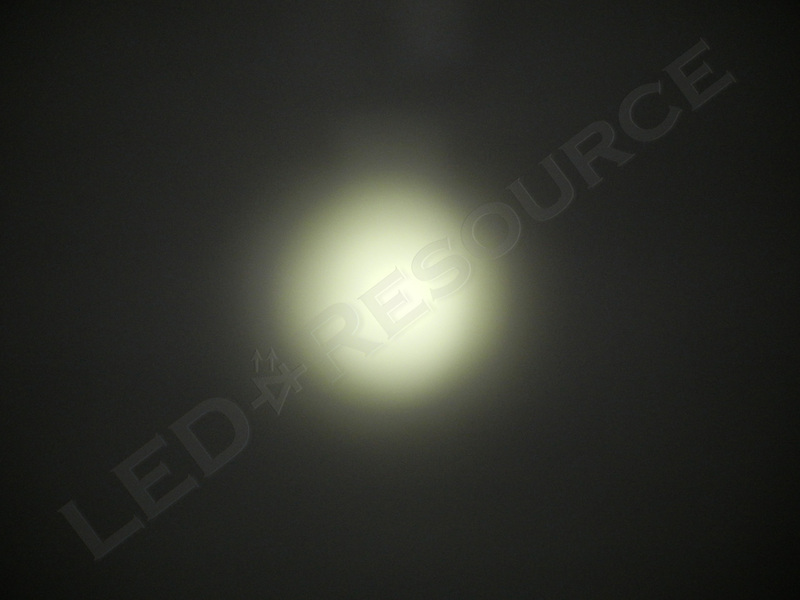 Reduced output from the primary LED (100 lumens). Maximum output from the primary LED (200 lumens). Lower two secondary LEDs activated (40 lumens). All four secondary LEDs activated (75 lumens). Using a Samsung LH351A as the primary LED and four 5mm secondary LEDs, the High Performance Headlight is designed for both spot and flood beam patterns. Flood mode is somewhat less focused than spot mode, as the increased number of LEDs creates a larger hotspot at close distances. 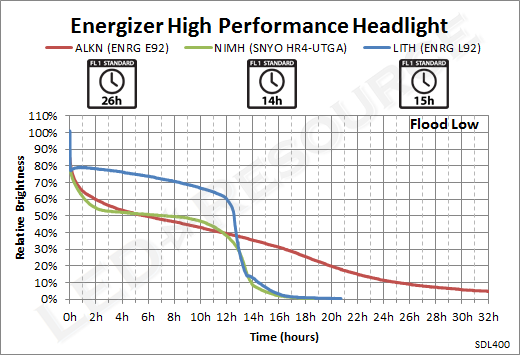 Energizer only provides runtime specifications for spot mode on high, so we conducted runtime tests for all four modes (not including mixed spot/flood modes). 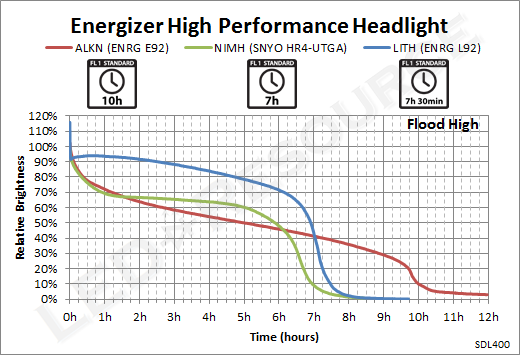 It’s important to notice how using Ultimate Lithium batteries in high-drain devices light flashlights provides higher and more consistent output, rather than longer runtime. 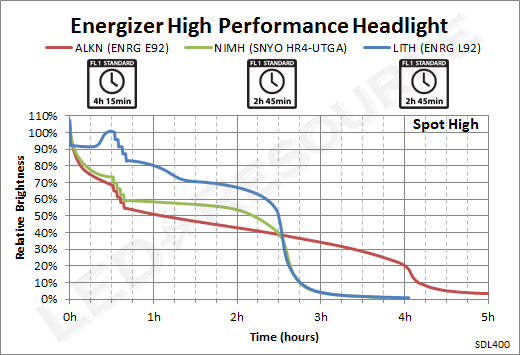 The Energizer High Performance Headlight is priced to be affordable, and naturally there are some shortcomings in order to keep the cost down. 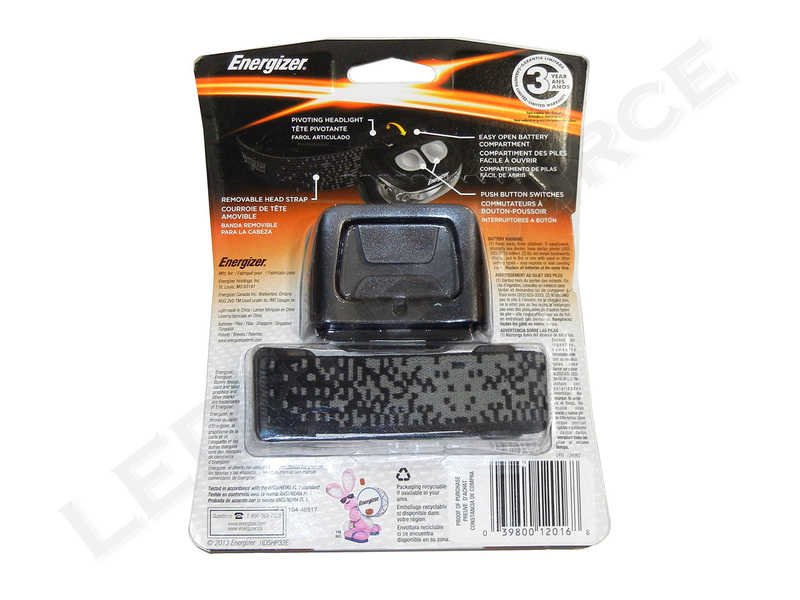 The plastic body of the headlight is a poor heatsink considering the high output of the headlight, and it does get fairly warm when operated at 200 lumens for an extended period of time (as do most high-output lights). One of the best features of the Energizer High Performance Headlight is that the head strap is removable. 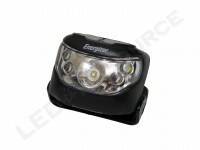 In addition to being able to wash the head strap without worrying about getting water inside the headlight, this means that it can also be used as a stand-alone area/work light by standing the light on the swivel base. 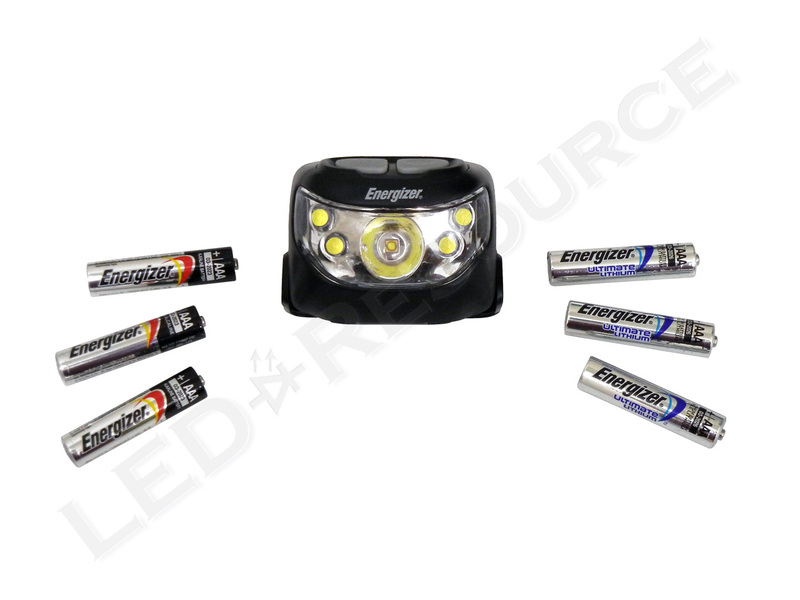 If you have a job where you need both hands and wearing a headlight is getting uncomfortable, the headlight can be set down and adjusted to the right angle to light your work area. 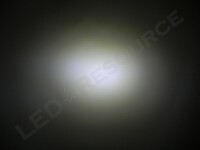 This light is expected to be available in a month or two. You should be able to find it online or from a local retailer. You have a paragraph about the MagCharger in here. I assume it was pasted by mistake. Good catch! It was in the template and has just been fixed. I have a MINI-MAGLITE and needs repaire to be done. I can not take off batteries. where can I take it or would you recommend to throw away and get a new one ? Please answer. this is not a comment, need your help instead. 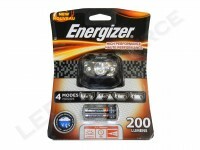 Avoid alkaline batteries! Give Maglite warranty repair a call and see if they can help – (909) 947-1006. Otherwise, if the batteries have leaked, you can try putting a screw into the battery and try to pull it out that way. I hope you willbe able to tell me when to expect your answer.